Most textbooks explain quantum mechanics as a story where each step follows naturally from the one preceding it. However, the development of quantum mechanics was exactly the opposite. It was a zigzag route, full of personal disputes where scientists were forced to abandon well-established classical concepts and to explore new and imaginative pathways. Some of the explored routes were successful in providing new mathematical formalisms capable of predicting experiments at the atomic scale. However, even such successful routes were painful enough, so that relevant scientists like Albert Einstein and Erwin Schrödinger decided not to support them. In this book, the authors demonstrate the huge practical utility of another of these routes in explaining quantum phenomena in many different research fields. 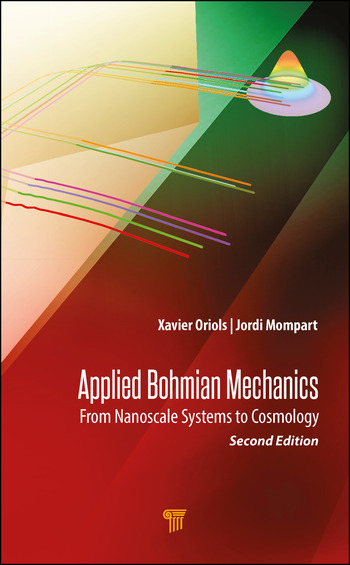 Bohmian mechanics, the formulation of the quantum theory pioneered by Louis de Broglie and David Bohm, offers an alternative mathematical formulation of quantum phenomena in terms of quantum trajectories. Novel computational tools to explore physical scenarios that are currently computationally inaccessible, such as many-particle solutions of the Schrödinger equation, can be developed from it. E. R. Bittner, et al. Xavier Oriols is an associate professor at the UAB. His research interests range from quantum foundations to practical engineering of electron devices. He is the author or coauthor of more than 140 papers and has developed the quantum electron transport simulator, named BITLLES, based on Bohmian mechanics. Jordi Mompart, after a postdoctoral stay at the Leibniz Universität Hannover, he became an associate professor at the UAB.